The prison at Stuart Creek, Townsville was one of Queensland’s major carceral facilities for much of the 20th century and could be regarded as ‘the Boggo Road of the North’, being quite similar in design and, to a certain extent, reputation. That prison opened in 1891 but it was actually preceded by another Townsville gaol built in 1878. 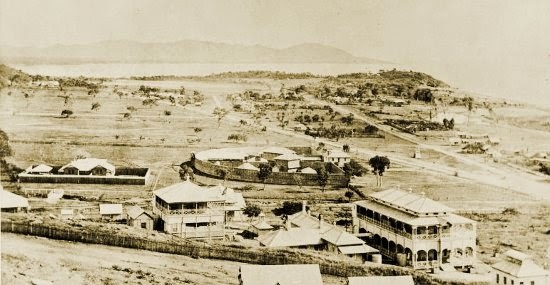 Queensland’s colonial prison system spread in the wake of the colony’s expanding frontiers, and Townsville followed Brisbane, Toowoomba, Rockhampton and Roma in having its own prison. 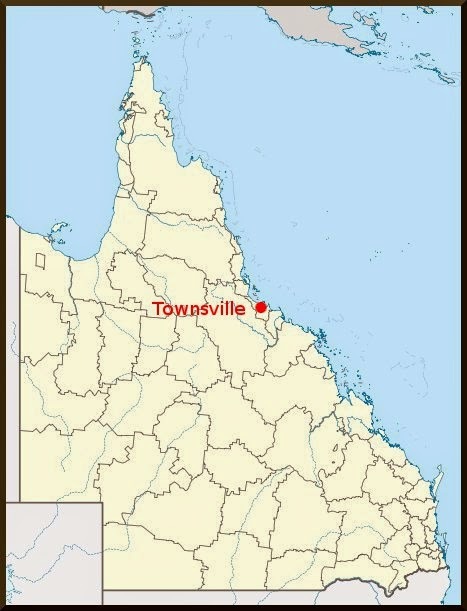 Townsville had been proclaimed a municipality in 1865 with a tiny population of about 100 people, but by 1870 it had become a major port in North Queensland. The discovery of gold in the surrounding area saw the town grow steadily, and the influx of miners and prospectors led to increased criminal activity such as drunkenness, violence and vagrancy. The capacity of the small timber police lock-up was soon exceeded and plans for a new gaol were prepared by the renowned colonial architect, FDG Stanley. 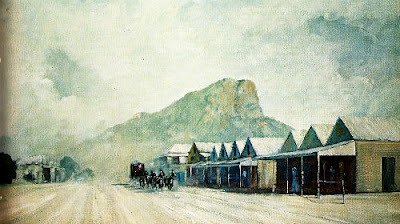 Flinders Street East, Townsville, early 1880s. Castle Hill is in the backgound. HM Townsville Gaol was proclaimed in September 1878 on what is now Warburton Street, which was part of the Botanical Gardens site occupied by the cricket club at the foot of Castle Hill. A brick boundary wall about 5 metres high, with 3-metre-high brick walls in the yards. The outer boundary, about 7 metres out from the brick perimeter, had a strong open stockade fence. 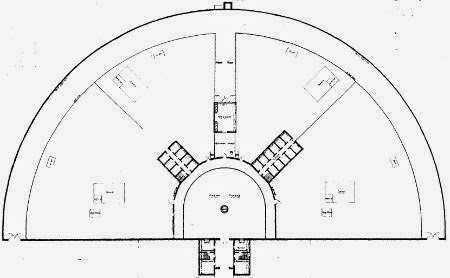 Plan of Townsville Gaol ('Inquiry into Gaol Management', 1887). The buildings were constructed by contractor J Rooney, and the walls and cells were completed for occupation by October 1878, and fully completed to include the gatehouse and gaoler's accommodation in 1880. The aim was to provide a large enough prison to meet the needs of northern Queensland for about a decade, and this was just about achieved although the gaol became overcrowded almost as soon as it was completed. 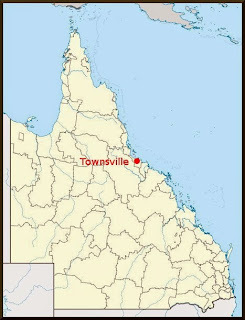 No executions were ever held in Townsville, although a number of capital cases were tried there. Guilty prisoners from those cases, such as Ellen Thomson and John Harrison in 1887, were transferred to Brisbane to be hanged. A new prison was erected at Stewarts Creek (now Stuart Creek), Townsville, in 1891 and all male prisoners were transferred there. The old prison was proclaimed to be a Police Gaol for a few months in 1893 before overcrowding necessitated it being reproclaimed a prison again. It was used to hold only female prisoners until 1896 before reverting back to police ownership. The buildings remained until 1955, when the Central State School was relocated to the site.